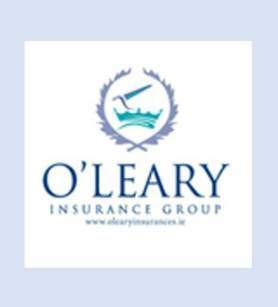 Brilliant sunshine and a cool, 20+ knot north westerly greeted the fleet of boats heading out for the second race of the O’Leary Insurance Group Winter League on Sunday 12th November 2017. The tide was begining to ebb as race officers Clem and Wendy McElligott set the starting line at Corkbeg and announced course no 65 over the VHF. It was a clear start first time for the all-in fleet and a beat against the tide to No 13 buoy. Most of the fleet stayed on the eastern side of the channel. A handful chose the western side and a few, judging the ebb to be still quite slack, sailed up the middle, enjoying clear air and less traffic. Nieulargo got to No 13 first, followed by T-Bone and Jelly Baby. The leeward leg was a slalom – a run to no 11, a beam reach to no 10, a run to Cork Beg, a close reach to Cage and a run out the Harbour to buoy W4. The handful of boats which carried spinnakers provided entertainment for those who did not, particularly on the two tight legs. However, for the crews whose spinnaker handling was up to the conditions, the spinnakers really paid and they may huge gains. From W4 it was a short beat to the finish at Cage. Nieulargo was first to the finish line, followed by T-Bone, Coracle and Jelly Baby. On IRC handicap, Niuelargo (Dennis Murphy) was first, No Excuse (Ted Crosbie) second, Coracle (Kieran Collins) third and YaGottaWanna (Dave Lane and Sinead Enright) fourth. All four carried spinnakers. On ECHO handicap, the result was slightly different, with Niuelargo first, Coracle second, YaGottaWanna third and No Excuse fourth. Also, a reminder that the end of year Prize Giving will be on tomorrow night the 17th of November at 20.00hrs in the club and the end of year Club laying up is on the 02nd of December.